Please refer the above illustration for the sign up process. 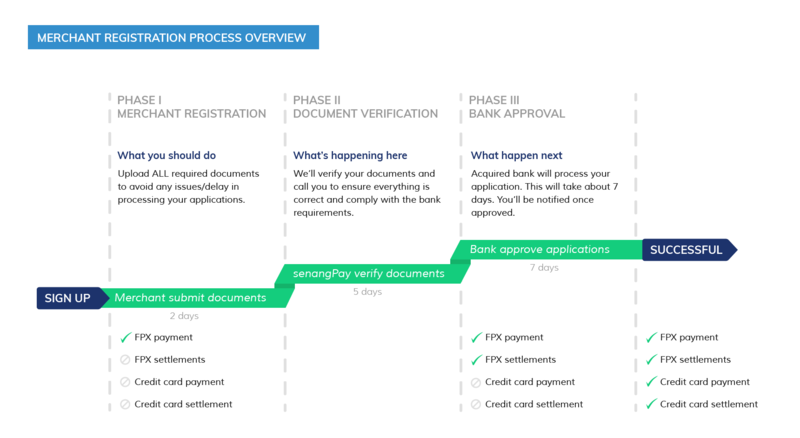 The estimation duration from Pre Approved to Complete document status is from 1 to 14 days depends on the approval of the documentation that provided by the merchants. Please take note every merchants of senangPay are required to have company or business registered under Suruhanjaya Syarikat Malaysia (SSM).